To people “from” Pine Plains — whatever that means — the empty Memorial Hall held a treasury of warm memories. But for anyone else, particularly potential entrepreneurs, the decaying building in the center of town was a mark of a community that could not get it together. 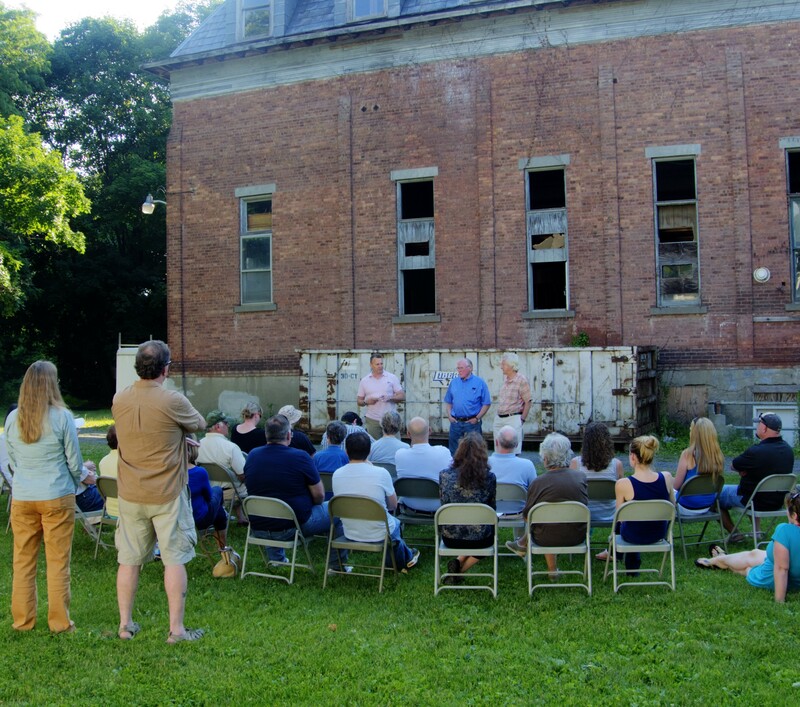 Until 3 businessmen with stakes in developing and preserving the community bought the old building at auction and rather than generating their own private plan, they actually invited the community to have a say in how the centerpiece of the town could be used. This video documents the first open meeting with the community. thank you Stan. This is so helpful to those of us who didn’t know about this meeting . I feel like I was there and I learned a lot.